Digitize existing hard patterns to create a digital pattern library. 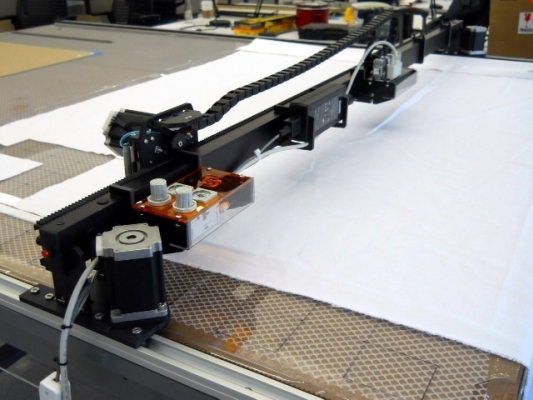 Carlson Design offers affordable, high performance, large bed plotter/cutters to cut most textiles. 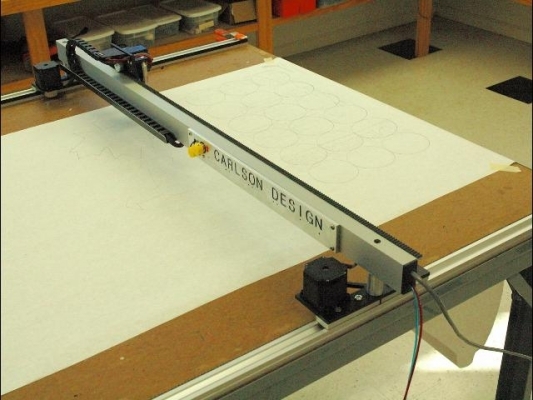 Carlson Design proprietary windows based controller, nesting, and patterning software and open source shareware. Programs import from most CAD programs. 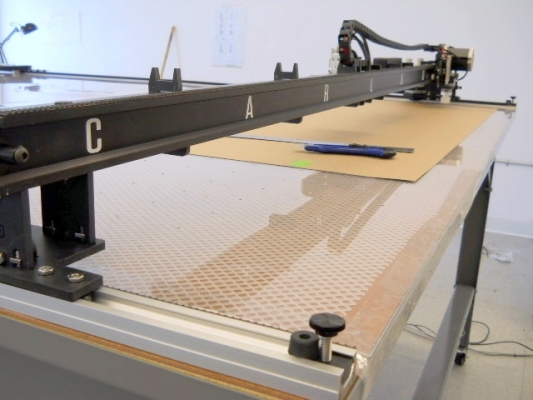 Phillocraft vacuum tables hold your material secure during plotting and cutting — required for most textile cutting applications. 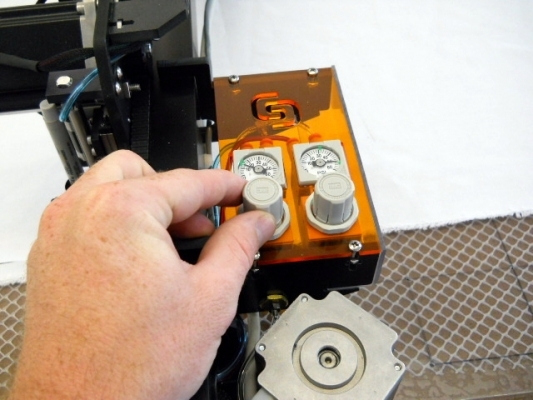 The Studio STx Personal Plotter/Cutter is as serious a manufacturing tool as it is a great value. 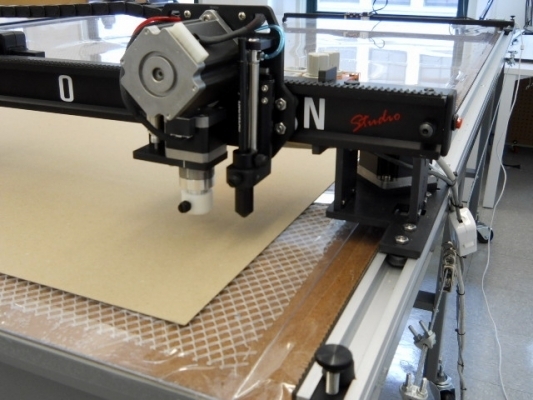 Designed for sample cutting, pattern development, model making, package design, and smaller design-cut-sew operations, the Studio is our most compact and affordable system. The STx is a lightweight (only 16lbs), single-tube machine using our custom extrusion combining exceptionally strong mechanical structure and guides for the head. Like the CTx, the head rolls on adjustable composite wheels. The STx power and electrical components snap along the back of the machine. This makes the components are easy to service and affordable to replace, and quick to customize. apparel, prototype packaging, architectural modeling, and sailmaking. Click here to build a custom quote! Body Style: Anodized Aluminum, single rail frame with laser-cut brushed stainless steel “backpack” electronics panel. Track System: Fully captive, direct-drive rack and pinion with anti-yaw design. Machine glides on 12 friction-reducing ball bearing, composite wheels. Mount to any table top. Tool Head: Standard two tool head with steered rolling or drag blade cutter and marking tool holder. Off Board Features: Pneumatic controls & "clip-on" components with pluggable drives and motors for easy service. Base price listed. 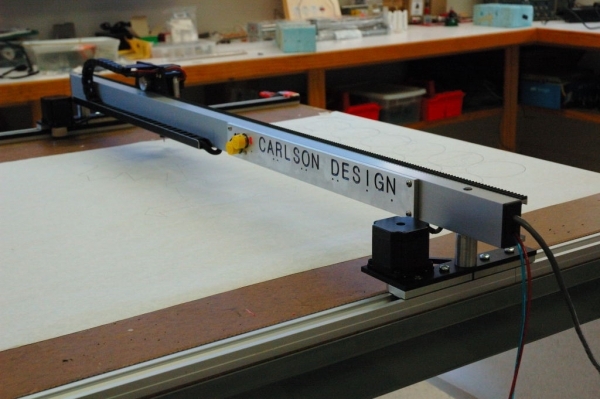 For custom pricing, offers on new systems, and specific delivery dates please contact Carlson Design. 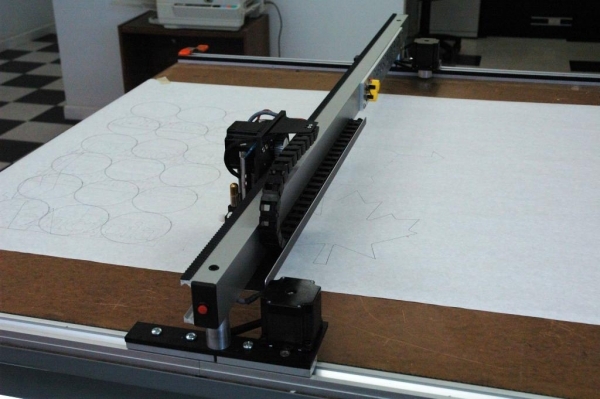 Base systems include Plotter/Cutter, Plotmaster software suite, cabling, and track. Terms: 50% deposit with order, balance due with delivery. Delivery: 6-8 weeks after order. FOB our dock Tulsa, Oklahoma. Prices are subject to change. Call for a custom quote. 15% restocking on returned systems. We offer a range of interchangeable cutting tools for maximum flexibility. 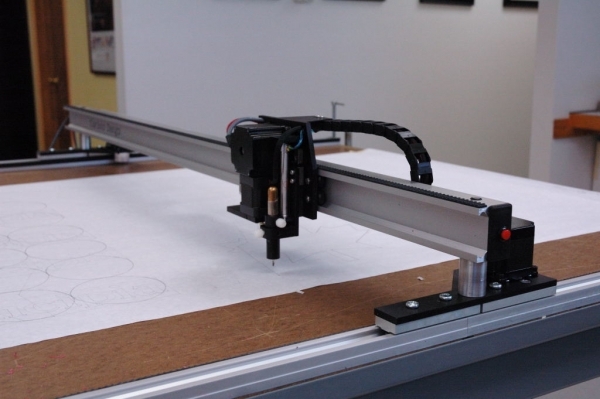 Since our systems are so easy to set up and use, you can order just the plotter/cutter for your own table or a turnkey installation. We offer complete vacuum tables, or plans, blowers, and tops for building your own. The system glides on our all-new ball-slide fully captive custom SuperTrack system, enhancing precision and cutting power. Standard is a compact tool head carrying quick-change magnetic-mount tangential blade holders with lots of optional blade types and a precise air-operated pen. The tools spring retract at rest, so they won't interfere when picking parts or spreading fabrics. Blade holders can be changed without tooling. 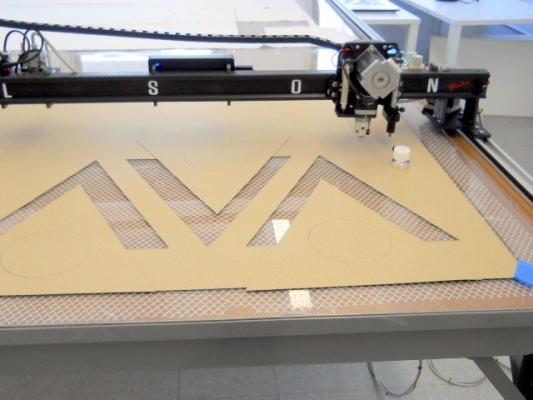 Like all Carlson plotter/cutters, the self-contained plotter/cutter has no microprocessors on board - our intuitive Plotmaster software plus your PC is your controller, with diagnosis and service available online. We believe in open software, offering our own Windows software for pattern design, digitizing, and nesting, or compatibility to the design programs you already use. We can ship your system fully assembled (except for your tracks) by express shippers such as Fed Ex or UPS.